It was only last week we heard that the bidding for the movie rights of the fabled Pokémon franchise were heating up again thanks to the runaway success of Pokémon Go—but now we have confirmation: Legendary is teaming up with The Pokémon Company to make a live-action movie... but not the one you were expecting. Deadline reports that the deal between the studio and The Pokémon Company—partially owned by gaming giant Nintendo and shepherd of the franchise across its decades of history—will kick off with a feature film franchise based on neither the classic roleplaying games or the augmented reality shenanigans of Go, but instead Detective Pikachu. 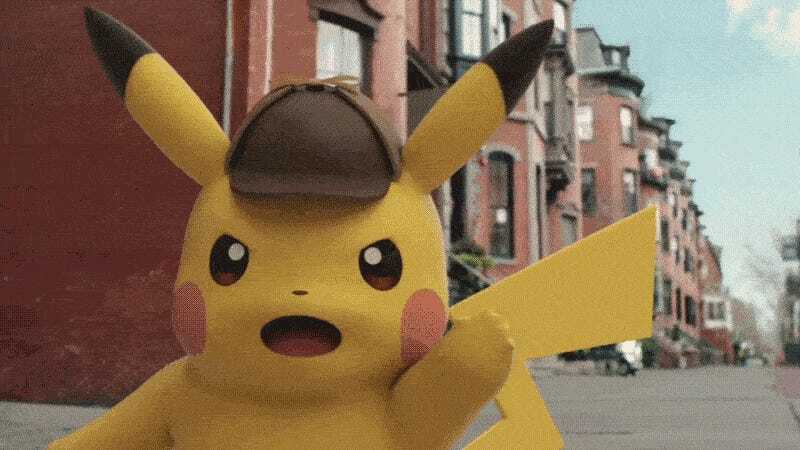 First revealed to the world in a handheld game released in Japan earlier this year, Detective Pikachu is no ordinary Pokémon, but a Pikachu that can communicate with humans (and he wore a cute as hell deerstalker). In the game, which has yet to be released outside of Japan, Pikachu teams up with a young boy named Tim to solve crimes and hunt down Tim’s missing father. Aside from investigating crimes, Pikachu drinks coffee and flirts with women. Yeah, it’s weird. And now, it’s gonna be your first live-action Pokémon movie. No further details were announced, but production on the film—being distributed by Universal—is set to begin next year.